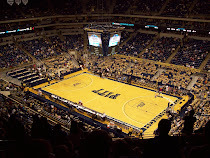 Pitt comes in at #5 in Dennis Dodd's top five schools for football and basketball. This is a slight surprise to me - not that they don't belong there, but Pitt never seems to get the credit they deserve for having a top basketball and football program. It's not yet been sustained as they had some down football seasons this decade, but the school's teams have had quite a bit of success. The best part, though, is that it doesn't look like it's slowing down anytime soon. Both programs have recruited extraordinarily well and could be successful for quite a while. My bets for the others? If we're talking about the past 2-3 years, let's go with Texas, Ohio State, Wisconsin, and Florida not in that order. 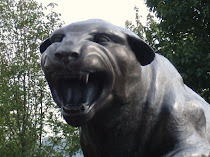 Pitt fans might not be happy with it, but you could also make the case for WVU even instead of the Panthers. But his article seems to indicate Pitt made it instead of WVU. I normally don't mention Bleacher Report too much on here, but a writer for the site believes that Mark Myers can seriously contend for the backup QB job. I don't see how that's even a remote possibility - especially in a year when they are starting a new quarterback. No way Wannstedt doesn't use Pat Bostick as his safety net if Sunseri struggles. Another gambling site predicts big things for the Panthers, calling them a darkhorse to win the whole shootin' match. And Panther baseball coach Joe Jordana wins the ABCA East Region Coach of the Year Award.